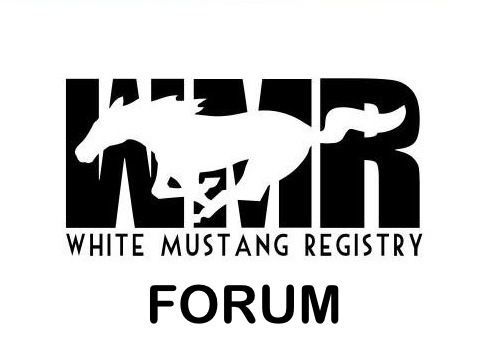 Sup fellow white mustangers!! This is my 01 gt.. nothing fancy but I love it.. couple tease pics xD! Yeah its auto.. but its definitely a upgrade from the sixxer. Plasti-Dipped mach 1 rear decklid. 6k Hid Heads and fogs. and latest appearance mod.. Saleens. Sold the Saleens. now Deep dish black bullitts. How the car sits as of now.. got the mirrors painted and the quarter panel replaced. Welcome! Very clean vert!! Love the "stormtropper" look. Tastefully done. How did you get a small scale replica of your car? I would LOVE to have one of mine.